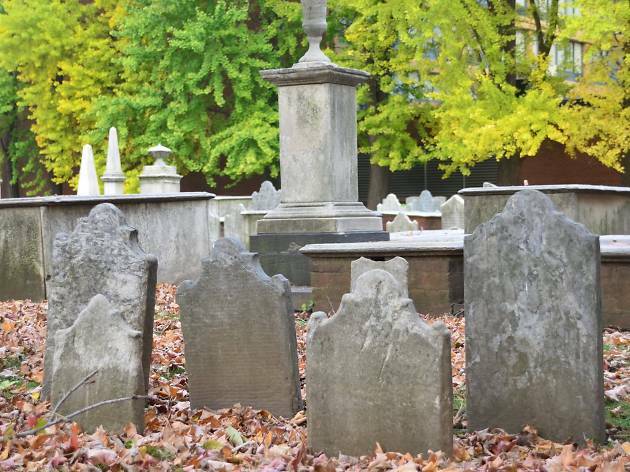 History lovers will want to prioritize a visit to Christ Church Burial Ground, where they’ll find the final resting places of prominent historic figures and other Revolutionary citizens—all of whom they'll learn about upon visiting. 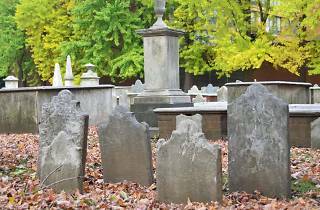 Perhaps the most notable of the gravesites here is that of Benjamin Franklin who is laid to rest alongside his wife Deborah near the corner of 5th and Arch streets. Passersby stop here daily to toss pennies on the Ben’s grave, an homage to the founding father's famous adage, “a penny saved is a penny earned.” Continue around the historic cemetery to find the headstones of other well-known figures, like John Dunlap, the guy who printed the Consitution and Declaration of Indpendence, and Francis Hopkinson, a poet and signer of said Declaration.